I found an opportunity to use up a few charm packs and couldn't, wouldn't pass it up. 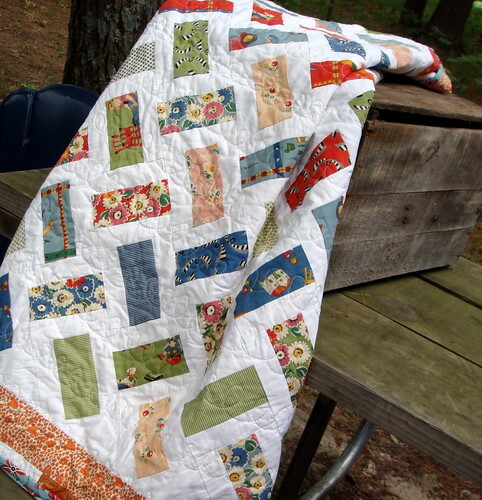 This quilt idea is courtesy of Amy at The Calico Cat. 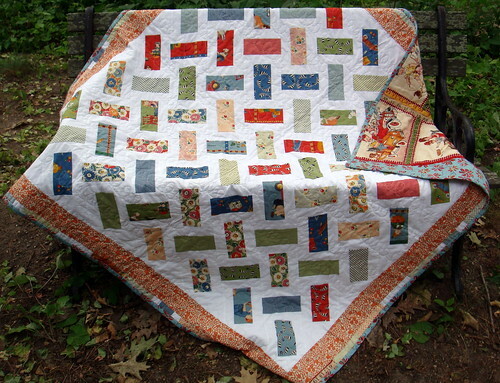 The squares in the quilt are created using 1/2 of a charm square (with a resulting size of 2.5" by 5") with 1.75" by 5" pieces of white cotton on each side. The borders are an awesome orange floral that I should have bought a lot more of and pieces of leftover charm squares and white cotton. The quilting is done with cursive swirly "e's" again, so simple but so nice looking when it's complete. 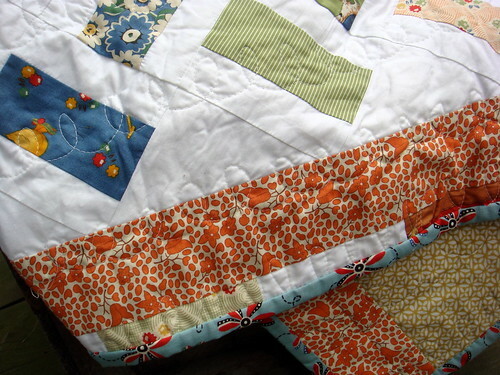 The backside is pieced from a variety of fabrics that coordinate the charm squares used on the front. It has never taken me as long to bind a quilt as it took to do this one. At least 6 weeks, if not longer. I got really distracted by the shirring fetish and just left this poor quilt by the wayside for a while. I think this measures about 50" square. The images were taken at the cottage we're staying at. The view is beautiful, just beautiful. July 25, 2009: Edited to add: the white cotton pieces should be 1.75" wide and the idea for the quilt came from Amy at the Calico Cat. 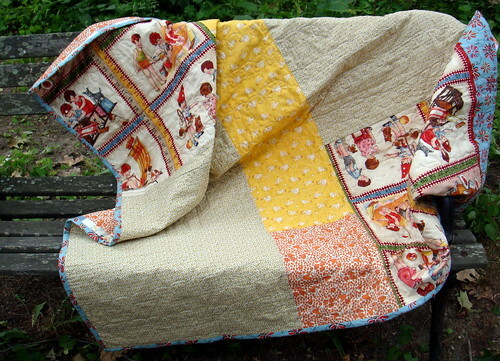 It’s a gorgeous quilt! Love it! What a beautiful quilt. 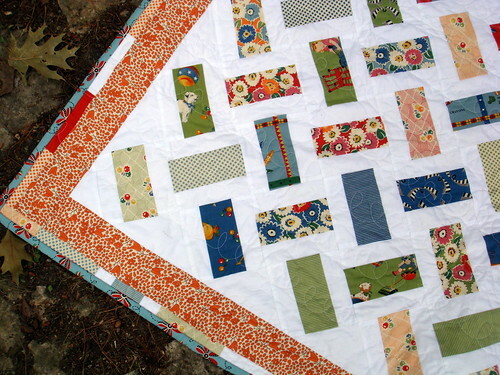 I love the simple pattern and quilting.